What Apple’s Classroom App does is it removes the behaviour part from the equation. Classroom makes you as a teacher and the pupils in your classroom more efficient and their devices more easily brought together for learning purposes. Whilst looking at your iPad you can see what is on the iPad screen of every pupil in your classroom. You can see what Apps they are using. You can open Apps up for them. You can navigate them to websites simply and quickly. You can do lots of things to make your classroom significantly more efficient and using Classroom means you can focus more time on your teaching and their learning. Prior to Apple releasing Classroom 2.0, in order for you to use the free Classroom app you had to have a mobile device management (MDM) solution. Lots are available and the process to get your class working with Classroom was not for the faint hearted. It was a great app with fab features for the classroom, but it wasn’t the most simple way of getting things working. With the release of Classroom 2.0, there is now no longer the need for you to have to go through the task of setting it all up via an MDM, Apple School Manager etc. Now you can do it yourself. In your classroom. Really easily. You might be told that there are benefits to having it set up through your MDM but if you are not in a position to get this working in your school, don’t worry – you can now use Classroom! It’s really quite simple. Simply make sure everyone has the Classroom App and then follow the simple instructions below. There are lots of helpful tricks that Classroom has up its virtual sleeves to help you in the classroom as teacher. 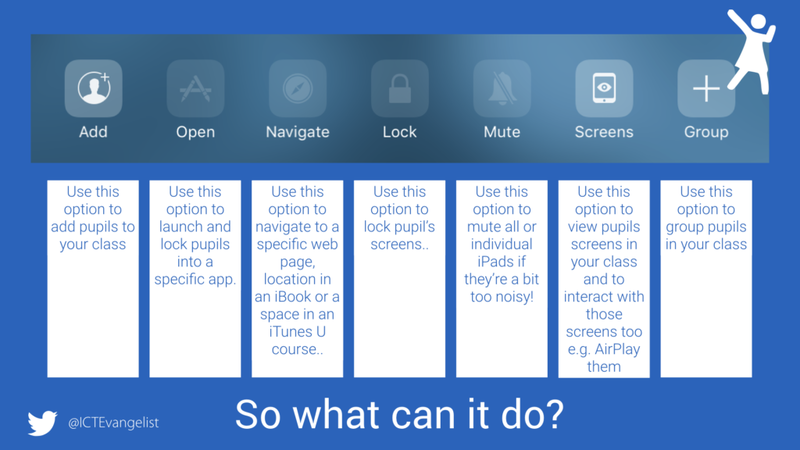 And these are just the tip of the iceberg of great things you can do with Apple’s Classroom App. My favourite feature is the one whereby because you are all in the same ‘Classroom’ you can easily send documents, images, files via AirDrop to every pupil in your class in just a few simple steps. 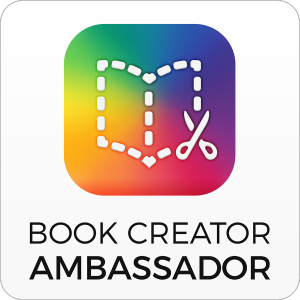 To get this to work, simply go to the share option in the App you are using and look at the AirDrop section – there you will see your class. Select all, or the group you wish to send the media to. All the pupils need to do is accept it. Job done! 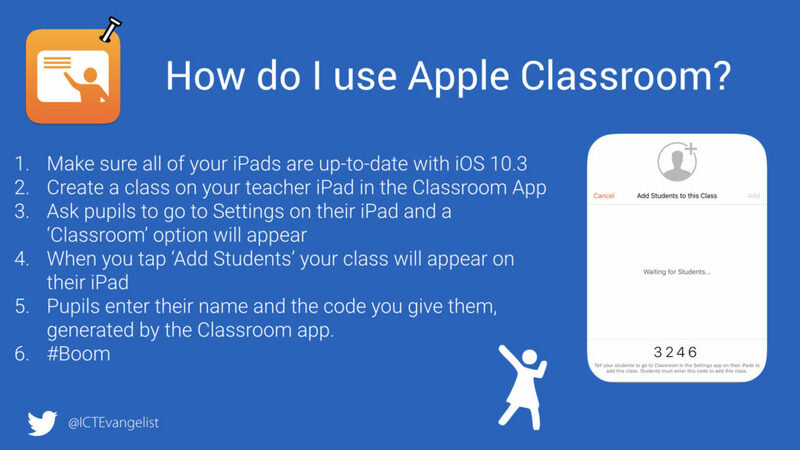 For more information on getting started with Apple’s Classroom App check out their guide on ‘Getting Started with Classroom 2.0‘. You can download the Classroom App from the App Store here. 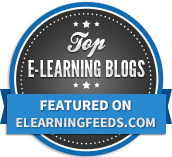 To sum up, if you are looking for a quick, free tool to help make your classroom management become even more efficient so you can spend more time on your teaching and their learning, this is the one for you! 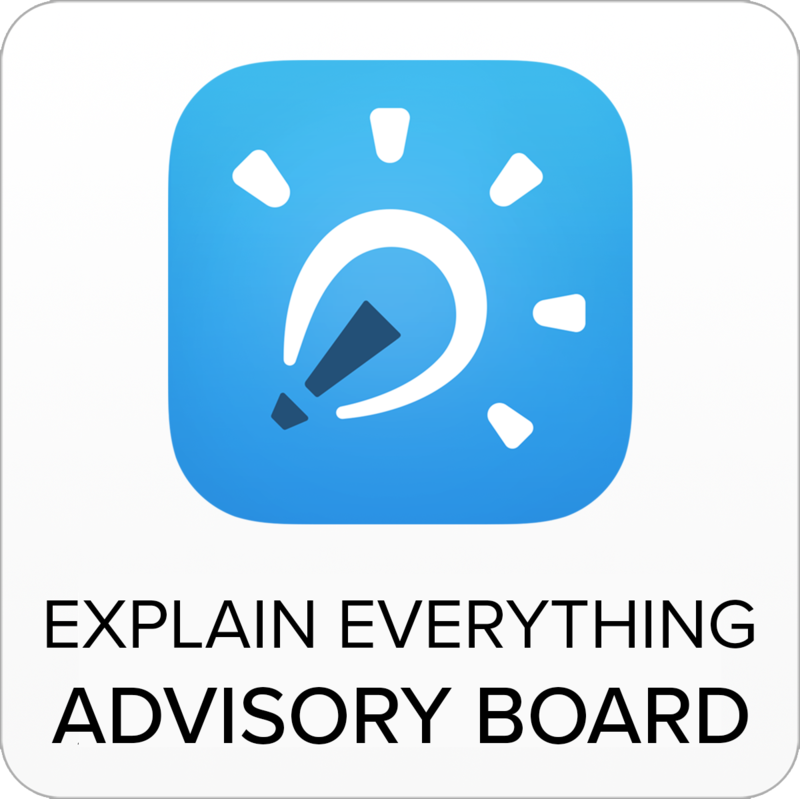 I said in the title of this post that Apple have nailed teaching and learning with this App. I would say that isn’t truly the case, but what it can do, is what I wrote in my opening paragraph. The time you will save by working more efficiently with the iPads in your classroom as a result of using the Classroom App is considerable, I would suggest. The cumulative gains that will be made from working with Classroom will make a difference. 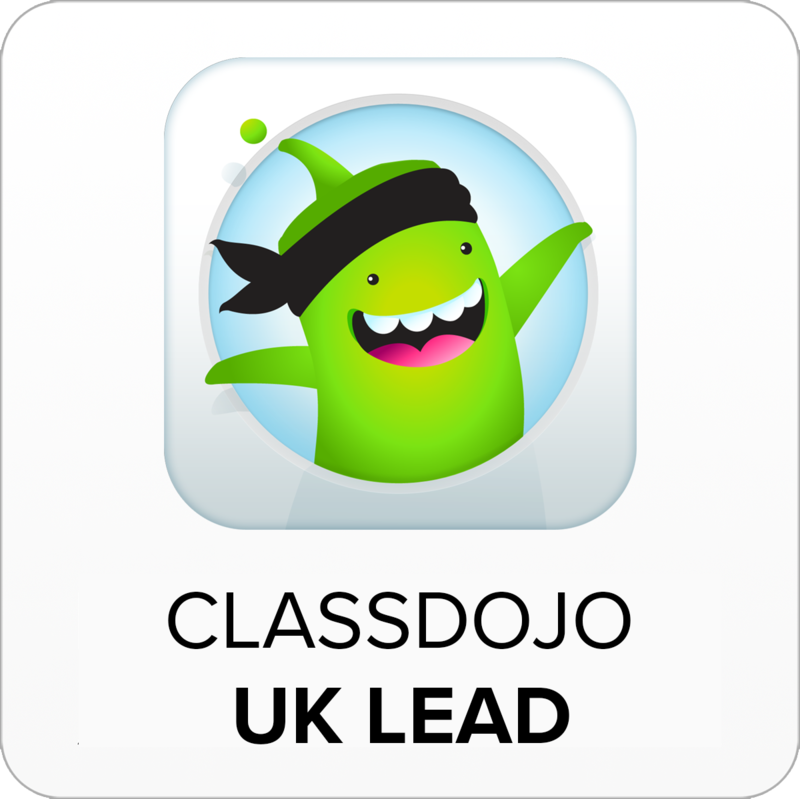 Additionally, the App can further support pupil engagement and authenticity with the ease at which you can share pupil work. I would also go so far as to say that if you’re using iPads in your classroom and you are NOT using Classroom, you are missing a brilliant trick. 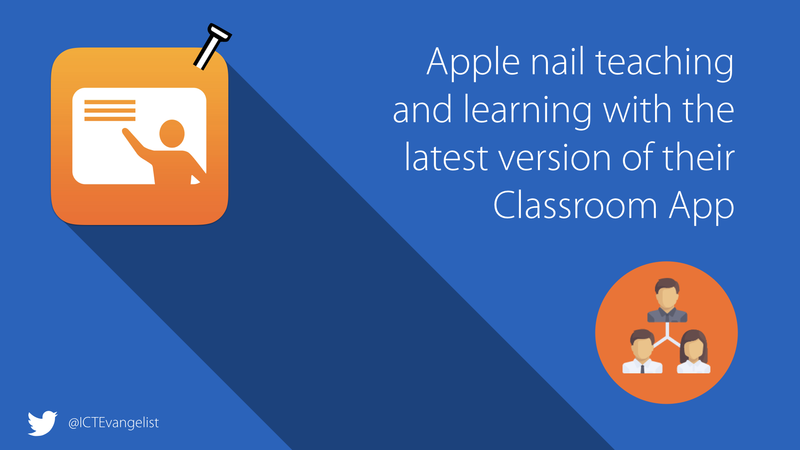 If you’re not using Classroom, check it out! Thanks for taking the time to read this post. If you like my thinking and approach to teaching and learning and would like some help, please get in touch. I’d love to work with you. As you’ll see on my ‘about‘ page, I have a strong reputation and high levels of success in helping teachers, schools and MATs develop their teaching and learning to include technology.